In the oral traditions of the Anishinaabe (Ojibwe) culture, the presence and lore surrounding Nanabush (or Naanabozho), a transformational and compassionate Woodland trickster, is central to the teachings of life’s lessons. 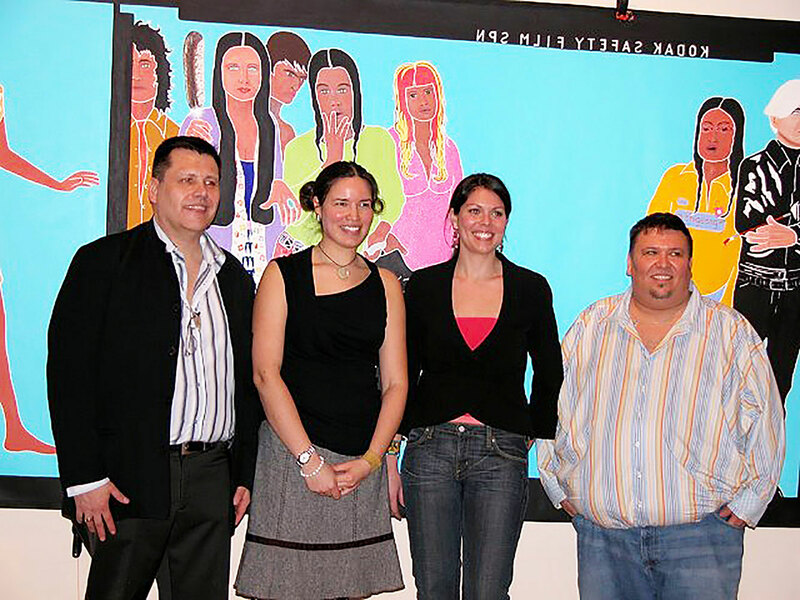 Artists Barry Ace and Maria Hupfield learned their lessons well and embrace the dynamic spirit of Nanabush, who dwells deep within their conscious, informing their artwork in a multitude of ways. The gallery is their playground, a metamorphic space for negotiating and mapping out both a distinct and common ground that will ensure the strength of Anishinaabe tradition in the face of transition. 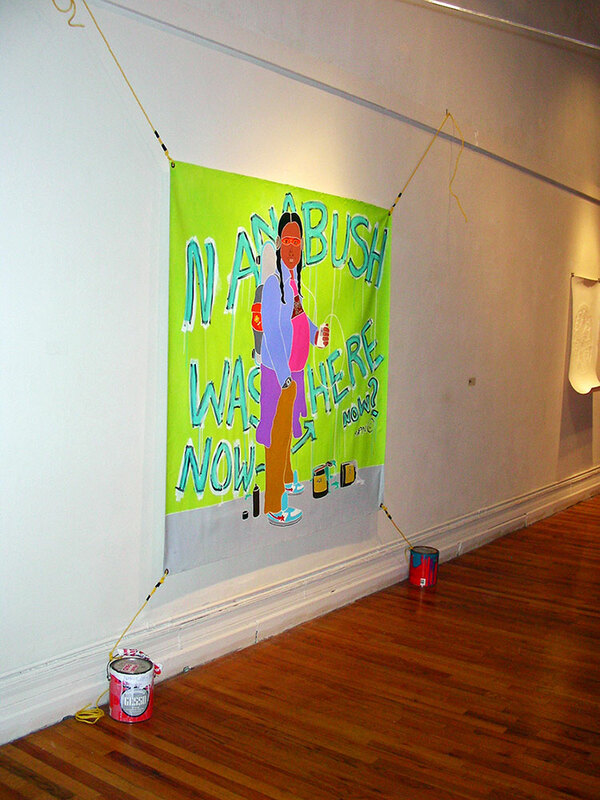 Informed by the past and actively engaged in the present, Hupfield and Ace nourish one another’s compassion for creativity by affirming a space for their communities to prosper and Nanabush’s influence to be felt. Ace and Hupfield apply a wily sensibility, yet cautious responsibility to their artwork when facing issues and confronting narratives related to history, popular culture, society and politics. 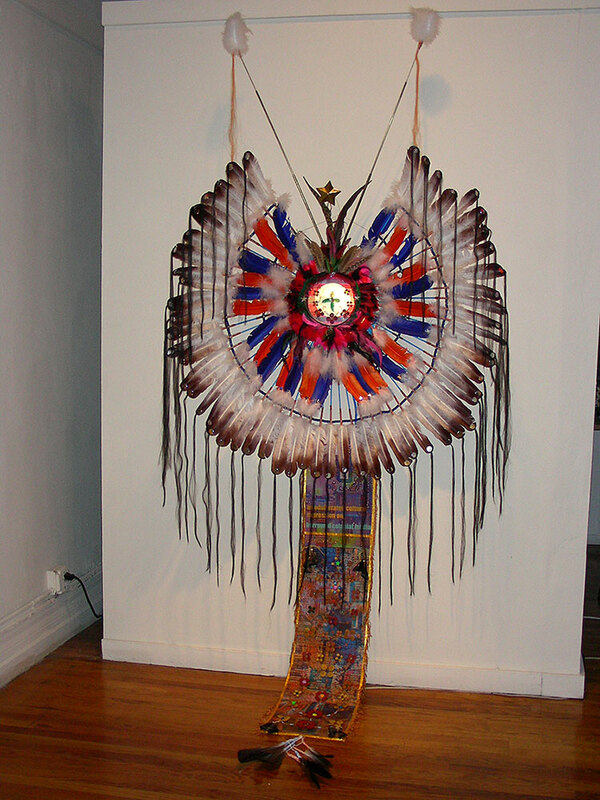 By liberating humour, irony and mischief from the confines of oral tradition, the artist invoke a playfulness that reflects and personifies the Indigenous experience in a state of constant adjustment. 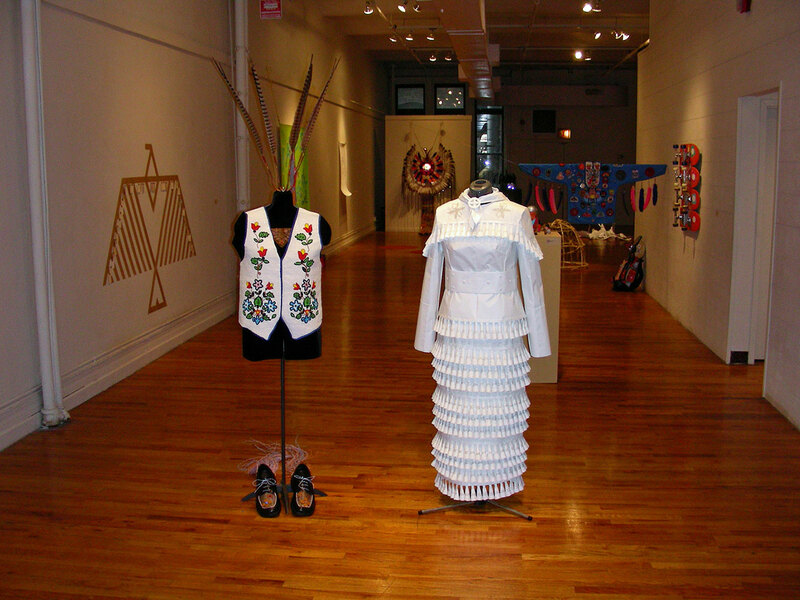 Through various media and materials, the artists adapt traditional motifs and design, informed by an Anishinaabe aesthetic, to create contemporary works that are innovative and discerning. Such incorporated elements of beauty and adornment emanate a desire, informed by tradition, for a constant cultural continuity to prosper. 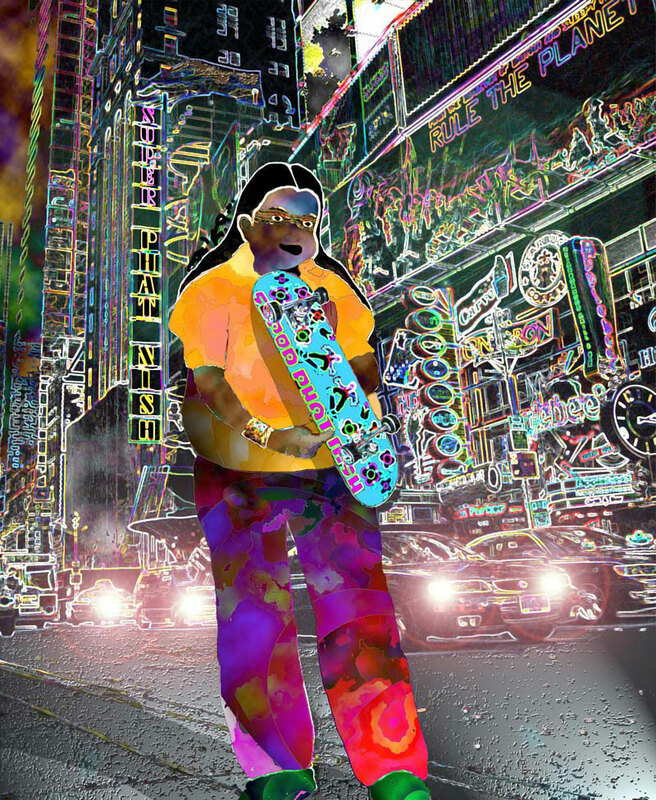 Consequently, Ace summons Nanabush’s energy into his urban Aboriginal pop icon Super Phat Nish, a character who engages with diverse subcultures in order to bring meaning and understanding to an existing contemporary urban/suburban world of Native America. Hupfield mischievously re-imagines those “defining lines” that bind, by symbolically re-interpreting them through installation and sculpture. 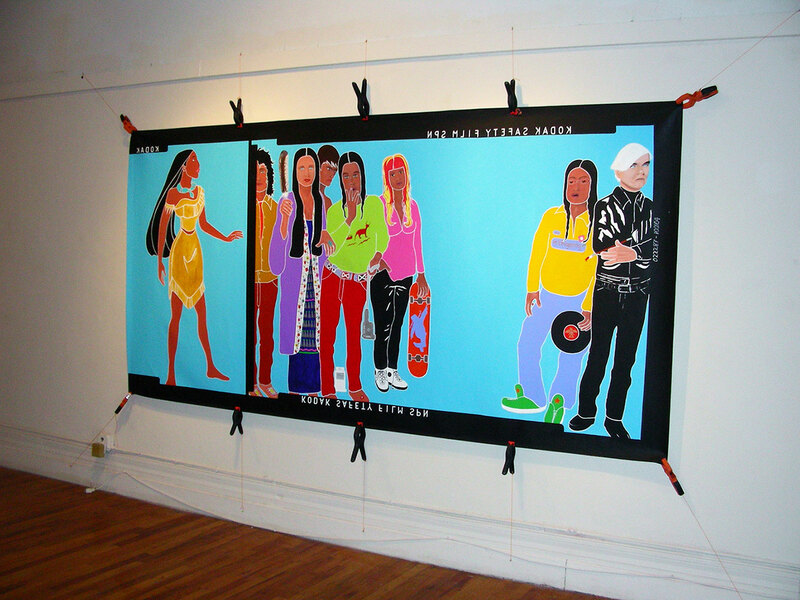 Her “redrawn” lines are positioned conceptually as assertive marks to identify, honor and affirm an indigenous presence that is in flux. 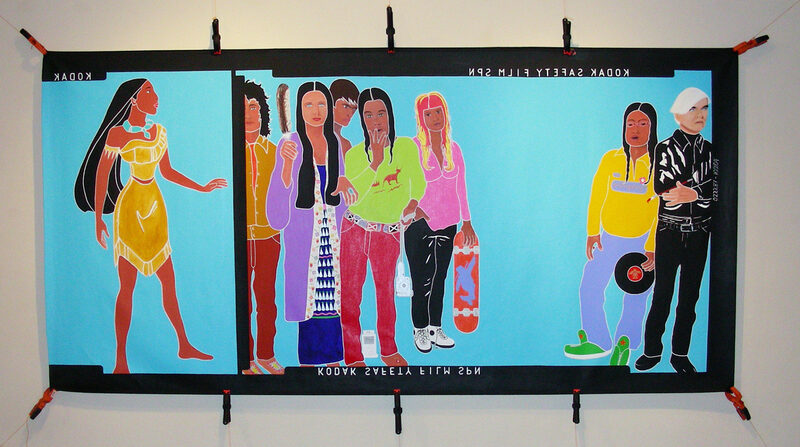 In doing so, Ace and Hupfield mediate between popular culture and antiquated notions of indigeniety imagined as stagnant and still. Playing Tricks is an evocative strategy for stirring attention to matters of contemporary Anishinaabe life lessons for generations to come. Playing tricks in Anishnaabek tradition is often associated with the cultural figure Nanabush or Waynaboozho. Stories and legends of the on-going antics and foolery of Nanabush were historically told only during the winter months, but more recently, these stories have be translated and published and are enjoyed at all times during the year. The seemingly endless stories of Nanabush, all reveal his innate ability to transcend both time and space. As = well, his super fantastic transformations and quest for self-discovery and questions regarding creation are multi-layered teachings that help explain the obvious and less obvious relating to unexplainable phenomena and events. As in contemporary times, Nanabush’s legends persevere our unique way of seeing the world, and pass-on these important cultural messages to future generations. With many of people migrating to urban centres, the role and significance of Nanabush as a central cultural figure has never been more important. In historic Nanabush stories, there were no strict guidelines regarding exactness of the story, but instead, variations on the plot were encouraged to keep the stories vibrant, relevant and alive. The art of story-telling and the story-teller’s ability to weave a story through the use of parody, irony and humour is what makes the trickster’s stories memorable. Important cultural and social morals and ethics are at the crux of the stories, and Nanabush’s ability to transform and morph himself into a phantasmagoria of realities is the essence of his broad-based appeal. It is from this perspective of story-telling that I approach my work, incorporating trickster elements and techniques to read as visual narratives and mnemonic signifiers to entice and engage the viewer. 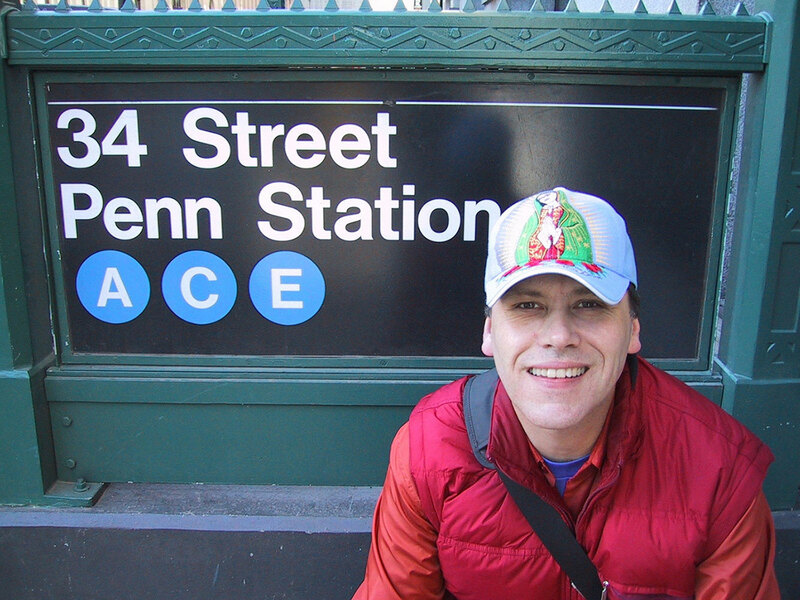 Based on the Anishnaabe cultural hero Nanabush, I have recently morphed myself into my work as the urban story-teller and hipster – trickster Super Phat Nish (Nish is an endearing cultural slang for Anishnaabe). As Super Phat Nish, I have now created a contemporary space for myself, where I can relevantly engage on our contemporary existence as Anishnaabek and our on-going ability to adapt to culture change. Perhaps more poignantly, how we, as Anishnaabek are infusing our contemporary popular culture with important and relevant cultural attributes. Super Phat Nish, like Nanabush, engages the view and comments on the obvious and less obvious, and breaks new ground by challenging often difficult subjects through the use of irony and parody. Super Phat Nish attempts to address these historical stereotypes and inaccuracies, and in doing so, hopefully bumbles into some new ones! In doing so, I hope that Super Phat Nish’s naïve, ironic and humorous antics will encourage us all to take some time for self-reflexivity, and begin to question and examine who we really are as contemporary peoples, and what makes us unique. As the viewer, I encourage you to take some time and seek-out Super Phat Nish in my work, and remember, like Nanabush the Trickster, he is continually playing tricks on you and reminding you to take some time to laugh at yourself and not to take things so seriously! 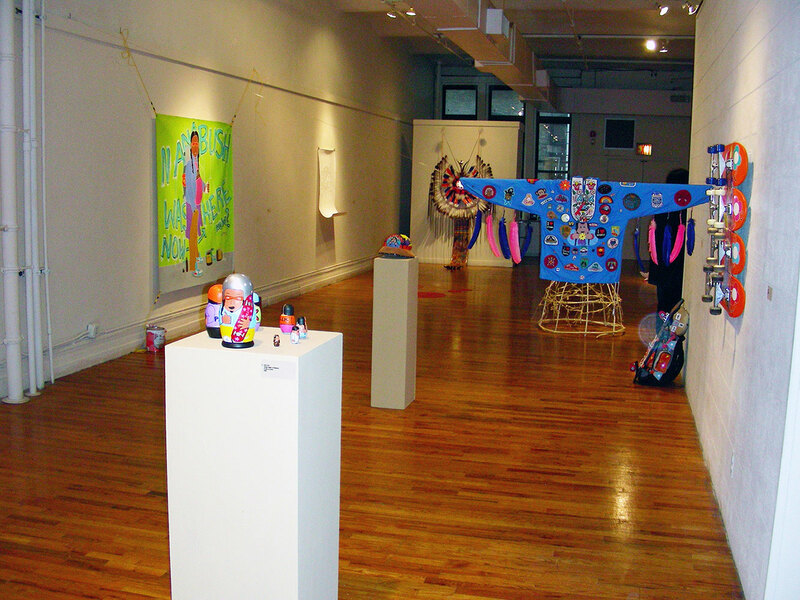 Playing Tricks (installation view) American Indian Community House Gallery (New York, New York). 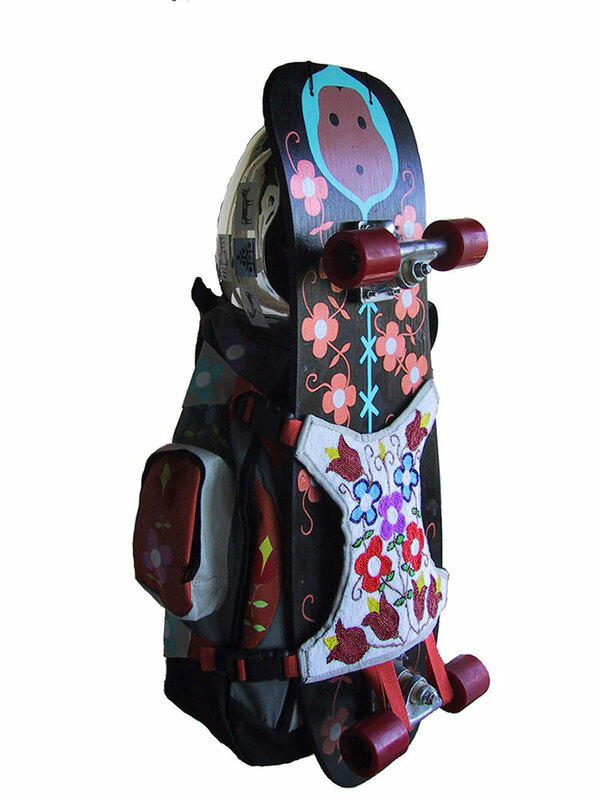 Urban Bustle (2005) 243.84 x 121.92 x 91.44 cm, mixed media. Barry Ace, Maria Hupfield, Sarah Sense, and Ryan Rice.